Windows 8 is not officially announced yet, but there are so may rumors about Windows 8. Using a leaked early build of Windows 8, the hackers at Windows8italia discovered a sensor programming interface with the ability to “detect human presence.” Microsoft already offers facial recognition on gaming systems through Kinect and Xbox Live. Face recognition or facial recognition is a feature where a software/device identify a person by analyzing the face on a digital image. Typically, a sensor will be attached to the device which can make digital images of the face and the software will analyze the image to identify the face against the face images stored in the database. If the face image of person matches any face images in the database, it will recognize the person. 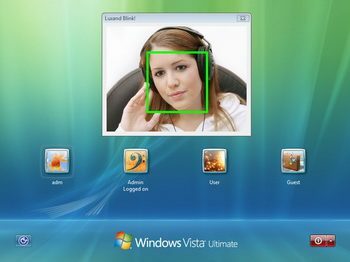 Building facial recognition into Windows 8 itself would greatly expand use of the technology.